The Florsheim Blaze Chukka Boot is a plain toe shoe featuring a simple yet sophisticated medallion toe detail. 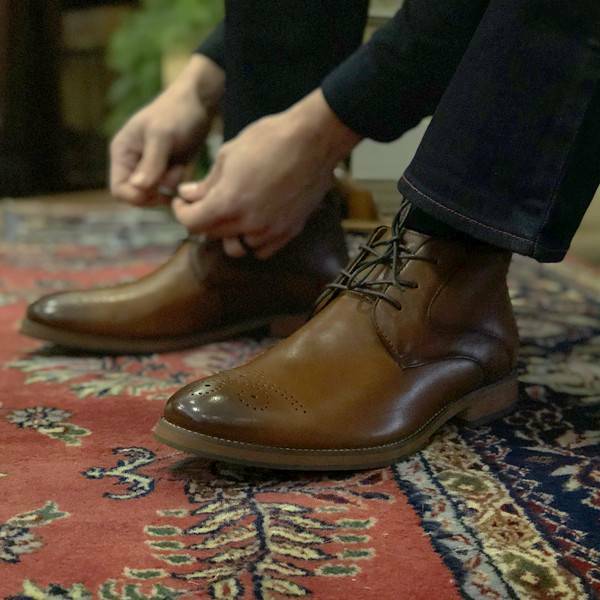 With its clean leather design and polished air, this boot is a step ahead of the rest. Genuine leather upper, breathable leather lining, fully cushioned, leather-covered insole, and lightweight dual density EVA/rubber sole.